Forum is a great place where people can have discussions and postings. Generally, a forum is a community with lots of user inputs and needs moderators to moderate the posts. phpBB is the most popular and wide-used open source PHP forum script. It has an easy to use administrator control panel and takes only few minutes to install. phpBB is very customizable, you can easily create your own themes and modifications to the script. If you face any problem with phpBB, you can always refer to the documentation. 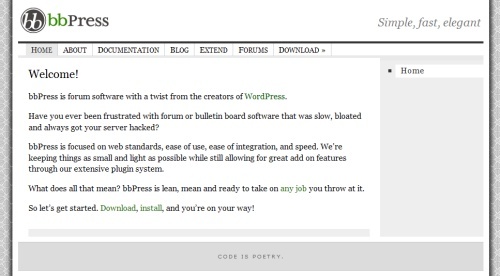 bbPress is a free and open source PHP forum scripts by the creators or WordPress. It has a complete documentation, plugins directory and also an active community. Similar with WordPress, bbPress is easy to customize and has a pretty URL structure which is good for SEO purpose. 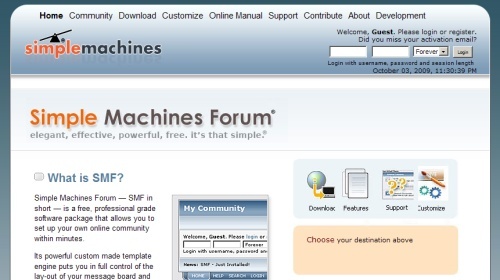 SMF is a powerful forum script which you can integrate and connect your forum with various CMS such as e107, Mambo, Xoops and iGamingCMS. The SSI( Server Side Includes) lets you interact your website and forum easily. Beside these, SMF also support multiple languages and has an advanced permission and user management. More features and be implemented through the Modifications/plugins. 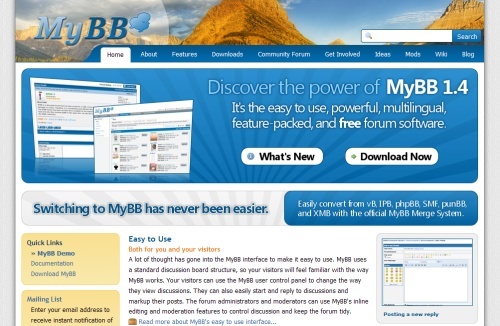 MyBB is yet another promising free open source PHP forum script. You can easily switch to MyBB from vB, IPB, phpBB and SMF through the official MyBB Merge System. The plugin system lets you easily extend the forum functionality. 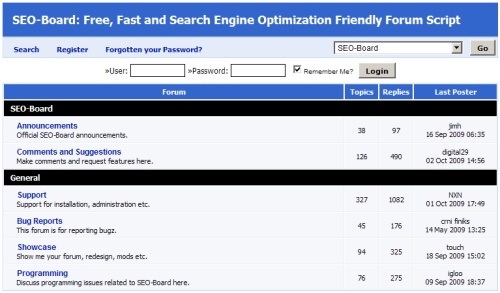 SEO-Board is a free, fast and search engine friendly forum script. It comes with simple interfaces and doesn’t have fancy festures. What it has is the core and main features of a forum application such as anti-spam protection, multi-language, bsic BBCode, RSS/Atom and etc. It is free for both personal and commercial use. SEO-Board is very suitable simple forum which focus on speed and search engine friendly. PunBB is a lightweight PHP-powered discussion board. Its primary goals are to be faster, smaller and less graphically intensive as compared to other discussion scripts. PunBB has an extensions repository where you can download, install and add extra functionality to your forum. FluxBB supports different types of databases such as MySQL, PostgreSQL and SQLite. FluxBB is a fork of PunBB and they decided to fork the project when PunBB was sold to a commercial company. 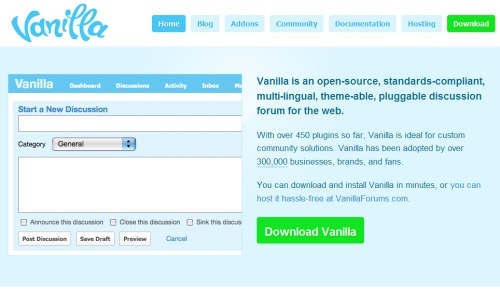 Vanilla is an open-source, standards-compliant, multi-lingual, theme-able, pluggable discussion forum for the web. It requires PHP5 and above to use. Currently, they have more than 450 addons for you to choose, which including themes, plugins and applications. Phorum has a very flexible hook and module system, which allows developers to easily create modules for customization. The pure HTML template system is easy to understand and designers can create templates that meet the client requirements. 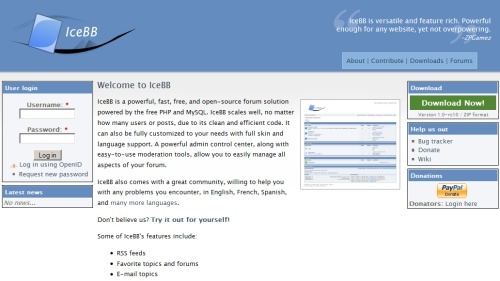 Ice is a powerful and fast PHP forum application. It has a powerful admin control center and the PHP skinning system lets you customize the look and feel of your forum easily. You will have private messages system, search, inline moderation and multi-quote in your forum. Furthermore, you can have unlimited subforums with IceBB. 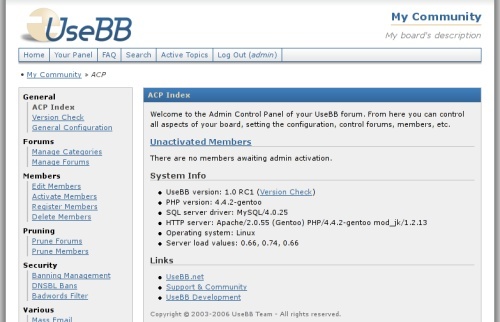 UseBB is a light and open source PHP4 and MySQL based forum application. It is ideal for small to medium sized websites which need a clear and efficient forum package. XMB offers key features you need to get your message board up and running. Is had easy to use Member Management system, theming interface and anti-spam image verification system.